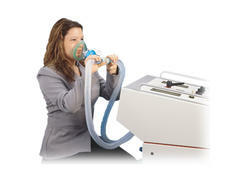 The Pulmonex® II Xenon System is the best choice for the performance of all regional lung ventilation studies. Safe, simple to operate and affordable. 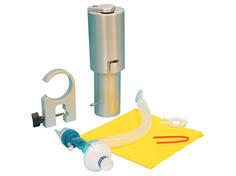 Xenon Convenience Kits are pre-packaged combinations of Xenon Disposables for use with the Pulmonex II Xenon System. 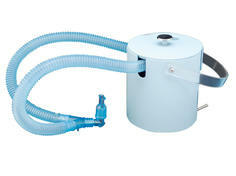 Xenon Disposables are designed for use with the Pulmonex II Xenon System. 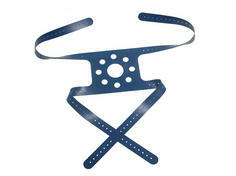 The Xenon Trap Monitor is the perfect complement to the Pulmonex® II Xenon System to ensure a safe environment. 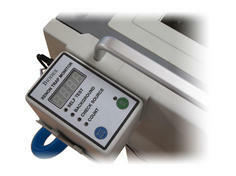 Assures quick, accurate and easy delivery of xenon directly to the patient. 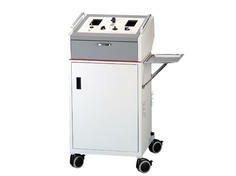 The Venti-Scan IV Radioaerosol Administration System is a self-contained single-use delivery system for Technetium DTPA. 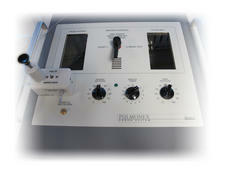 The original Cadema Radioaerosol System. 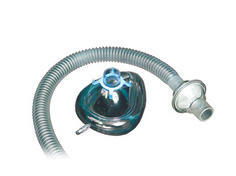 The Xenon-133 Rebreathing System provides the clinician with a simple, safe and inexpensive method of administering Xenon-133 to perform perfusion steady state and wash out studies.